Also, you’ll find leadership appointments and changes at Southern Methodist University, Sparked Connected, and Caregiver Inc. in this roundup of people news in North Texas. 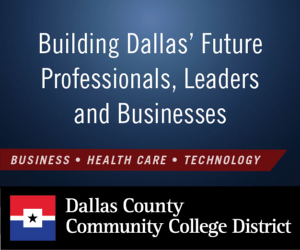 Across North Texas, companies are promoting and hiring people to take on leadership positions within their organizations. Dallas Innovates covers prominent personnel moves in Dallas-Fort Worth businesses and nonprofits—from the newest startups to well-established companies. Here are people moves tied to innovation and technology in the region. 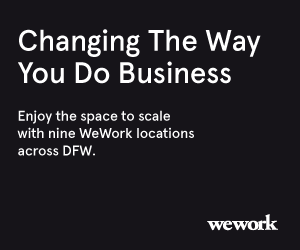 Don’t miss a move: Get Dallas Innovates Every Day. Have a move? Let us know. Eric Downum has been named vice president of financial planning and analysis by Dallas-based Borden, a leading supplier of dairy products around the nation. Downum will lead the company’s budgeting, forecasting, and analysis in his new role. 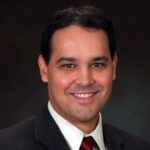 He joined Borden in 2016 after working in various financial leadership roles at PepsiCo and Frito-Lay. “Eric’s role will be critical to Borden’s success as the company launches new products and focuses on growth and expansion in 2019,” Borden CEO Tony Sarsam said in a release. Heather Faulkner has been hired as marketing manager at Dallas-based Mohr Partners, the largest wholly-owned commercial real advisory firm that focuses exclusively on businesses. Faulkner has more than 20 years of experience as a graphic designer with several areas of interest in the marketing field, the company said in a release. “Heather is a seasoned marketing professional with decades of experience, and we look forward to implementing her creative ideas and enhancing our brand under her leadership,” Mohr Partners Chairman and CEO Robert Shibuya said in the release. Trina Williams has been promoted to vice president of internal audit and transitions at Dallas-based Lincoln Property Co., one of the nation’s largest multifamily managers. 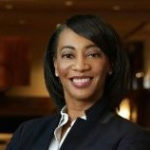 Williams brings 18 years of multifamily industry experience to her new position, all of it with Lincoln Property Co.
She will oversee the transition of units added to Lincoln’s portfolio, the company said in a release. Two SMU professors have been named the new Donna Wilhelm Research Fellows at SMU DataArts, the National Center for Arts Research. 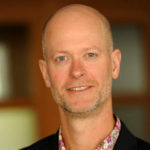 Michael Braun is associate professor of marketing and Corrigan Research Professor at SMU’s Cox School of Business, and Daniel M. Cable is professor of organizational behavior at London Business School. According to a release, SMU DataArts compiles and analyzes data on arts organizations and their communities nationwide. It develops free reports on important issues in arts management and patronage, aimed at helping arts and cultural leaders make more informed decisions and improve the health of their organizations. The Wilhelm fellowship was launched in 2015 through the efforts of Dallas philanthropist and civic leader Donna Wilhelm and is a one-year appointment. 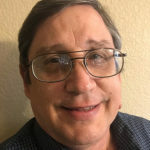 Jeffrey McCreary has joined Spark Connected as an advisory board member, the technology developer of advanced and innovative wireless power system solutions, announced on Monday. 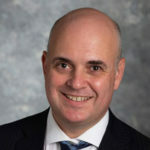 McCreary formerly served as interim president and CEO of IDT and ISOLA during major turnaround initiatives at those companies, and he is a former senior vice president of Dallas-based Texas Instruments, where he managed the worldwide sales and marketing organizations. 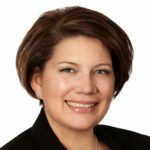 McCreary also held several other executive positions at Texas Instruments, including general manager of Advanced Logic Products and general manager of Worldwide Military Semiconductors. 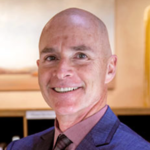 Brian Estler has been hired by Caregiver Inc. President and CEO Mark Lashley to coordinate efforts toward the Special Olympics for Caregiver clients, a first in North Texas. Caregiver Inc. is a family of companies based in Fort Worth that provides home living, day rehabilitation, care coordination, and related services for people with intellectual and development disabilities. Caregiver has multiple subsidiaries in four states, a release stated. Prior to joining Caregiver, Estler was senior program executive with the Fort Worth-based Longhorn Council, Boy Scouts of America.